To the delight of many a lazy pet owner, cats take it upon themselves to keep their fur clean. 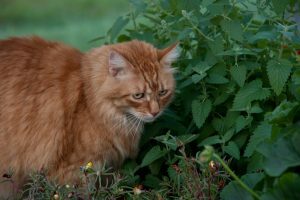 However, when a cat’s coat comes into contact with large amounts of dirt, they may require some extra help from their owner. In such a situation, a high-quality cat shampoo, such as Dechra’s Miconahex + Triz Pet Shampoo, is in order. If you’re hoping to keep costs to a minimum, we suggest Vetoquinol Aloe & Oatmeal Shampoo. 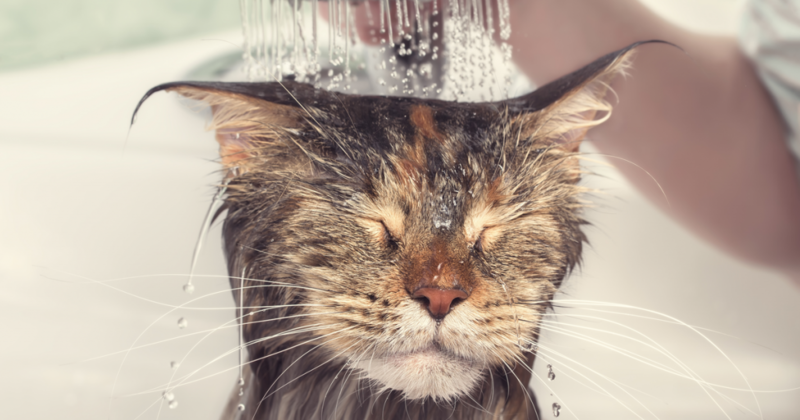 We’ll be examining the pros and cons of both, along with those of some alternatives, in this look at the best cat shampoos. When searching for a cat shampoo, you owe it to your feline friend to choose the finest formula within your price range. 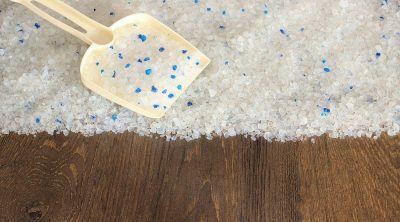 In order to help you find it, we have prepared the below buyer’s guide, which we suggest you read in its brief entirety before moving on to the specific cat shampoos listed in the second half of this article. The ingredients of your chosen cat shampoo will be absorbed by your cat’s fur and skin. Because of this, we suggest you avoid purchasing any cat shampoo that contains potentially harmful substances such as alcohol, parabens, and pyrethrins. If you cannot find a cat shampoo with a recipe devoid of the aforementioned ingredients in your local stores, we suggest taking your search online as opposed to settling for second best. Cats are infamously tricky to get a hold of at the best of times and controlling a feline becomes all the more challenging when a bath is involved. For that reason, it is imperative that you take the steps necessary to ensure your cat remains calm throughout bath time, This, of course, includes purchasing a cat shampoo with a “no more tears” formula. Such a shampoo will ensure your four-legged friend does not experience any pain or discomfort should it get in their eyes. Cats have extremely sensitive noses and rely on their sense of smell for a variety of things, including finding their way from one location to another and differentiating between friends and foes. This means that you should avoid using a cat shampoo with an overbearing fragrance, which could cause your cat to become disoriented. Dechra Miconahex + Triz Pet Shampoo is safe for use on both dogs and cats, so you won’t have to worry about buying separate formulas for your pets. In fact, Dechra Miconahex + Triz Pet Shampoo is so versatile that it can even be used on horses. Dechra manufactures this shampoo in the US using a recipe which includes antifungals to combat skin infections. Also present in this formula are ceramides, which serve to moisturize the coat and skin, bringing it to pristine condition even in extreme cases of damage. For pet owners who don’t have a whole lot of time to dedicate to bathing their animals, Dechra Miconahex + Triz Pet Shampoo is far from ideal. 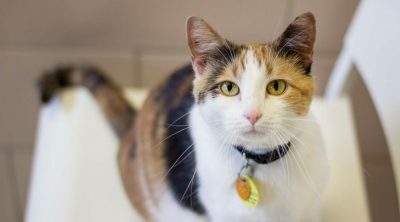 We say this because Dechra recommends leaving the formula to rest on your cat’s coat for five to ten minutes, which, when combined with lathering and rinsing, makes for a long bath time. This formula is similarly unsuited to those trying to keep their cat clean on a budget as this is one of the most expensive cat shampoos on this list and the market. Burt’s Bees is arguably one of the most recognizable brands of anything in the world, so it may come as something of a surprise that its Tearless Kitten Shampoo with Buttermilk can be purchased for less than $10 from most sources. 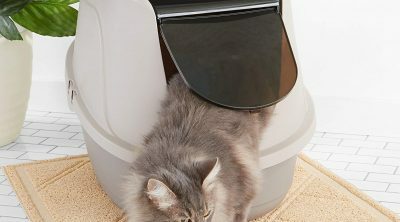 This, of course, has made it a popular choice among cat owners on a budget. 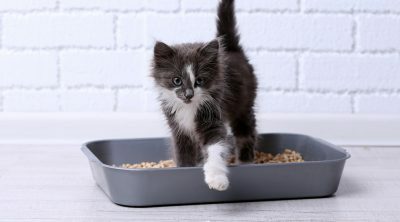 It is also popular among those who wish to wash their kitten using a shampoo formulated specifically for kittens as opposed to one intended to be used by cats of all ages. Designed solely for infant cats, Burt’s Bees Tearless Kitten Shampoo with Buttermilk ensures your new arrival’s coat comes in thick and fast. A recipe that is entirely devoid of parabens, phthalates, and similar potentially harmful ingredients reduces the risk of skin irritation and the aggravation of undiagnosed allergies. In keeping with Burt’s Bees’ environment-friendly mission statement, the brand’s Tearless Kitten Shampoo with Buttermilk comes packaged in 80% post-consumer recycled bottles. 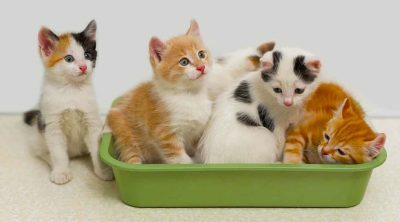 Although Burt’s Bees Tearless Kitten Shampoo with Buttermilk can be applied easily, a number of those who have attempted to clean their kittens with it have reported it being quite difficult to wash out. This, of course, may prolong bath time, which is far from ideal if you’re a busy pet owner. It is also important to note that Burt’s Bees advises against using this shampoo on any kitten under six months of age, so you should take your search elsewhere if you’re looking for a formula safe for use on a newborn cat. An antiseptic shampoo, this offering from Douxo protects against infections and avoids irritating sebaceous glands with its gentle recipe. It will easily remove dirt and unpleasant odors from your cat’s fur, leaving behind what the manufacturer describes as a “light green tea fragrance.” This light green tea fragrance is long-lasting, as is the shine that Douxo Chlorhexidine Shampoo promises to leave on your cat’s coat. 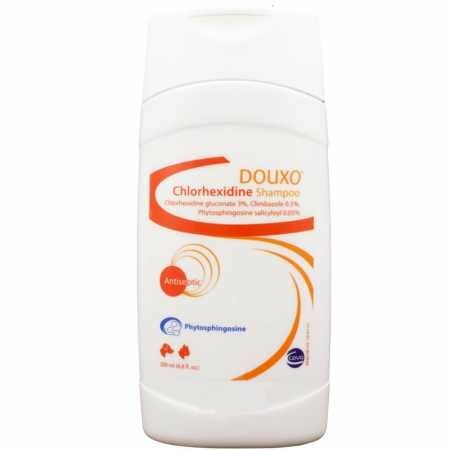 If you decide that Douxo Chlorhexidine Shampoo is the shampoo for you – or, more accurately, for your cat – you’re going to have to drop some cash to get it, which may make it an impossibility for more than a few cat owners. To make matters worse, Douxo does not offer a lot of selection when it comes to sizes, so those who don’t want to spend the money on a 16.9-ounce bottle of the formula will have to either take their business to a different brand or spend half that cost on a mere 6.8-ounce bottle. If you’re on a budget but aren’t willing to sacrifice quality in return for a low price tag, you’re going to want to pay careful attention to this offering from Vetoquinol. The brand’s Aloe & Oatmeal Shampoo is one of the most affordable high-quality pet shampoos you’re going to find on this list or on the market. Despite its low price tag, Vetoquinol Aloe & Oatmeal Shampoo promises to effectively rid your cat’s coat of dirt and grime and can even be used to treat the coats of canines, so you can keep both your cat and dog clean and smelling good. Alongside its natural soothing agents, Vetoquinol Aloe & Oatmeal Shampoo uses oatmeal as a palatable odor repellent, absorbing unpleasant scents without irritating your cat’s skin. In fact, Vetoquinol Aloe & Oatmeal Shampoo actively combats skin irritation, which is why we often suggest it to owners of cats suffering from dry skin. One thing you will likely notice about Vetoquinol Aloe & Oatmeal Shampoo should you decide to purchase the formula is that it has virtually no fragrance at all. The manufacturer claims that the formula is “mildly scented,” but many who have objective experience with it have reported it veering more to the “mildly” half of that phrase. Using conditioner on your cat may seem a little bit excessive, but it can certainly be beneficial when it comes to maintaining your feline friend’s coat, which is why you should consider purchasing a bottle of Earthbath’s 2-in-1 Conditioning Cat Shampoo. As its name suggests, Earthbath 2-in-1 Conditioning Cat Shampoo will both clean and condition your cat’s coat, ridding it of all dirt and giving it a healthy shine. Much like the previously examined offering form Vetoquinol, this formula utilizes oatmeal as a natural odor repellent. It also uses aloe vera to combat dry skin and soothe irritated skin. Earthbound 2-in-1 Conditioning Cat Shampoo ranks among the most affordable cat shampoos on the market right now. 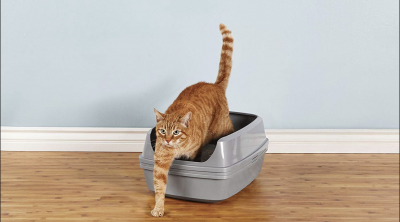 One of the most common complaints from cat owners who have purchased Earthbath 2-in-1 Conditioning Cat Shampoo relates to the formula’s inability to adequately tackle strong odors. According to some, the oatmeal present in this formula does not fully absorb odors, so your cat may still smell unpleasant once you remove them from their bath. Some Earthbath customers who have purchased this formula online have reported damaged packaging upon arrival, with some bottles even leaking in transit. 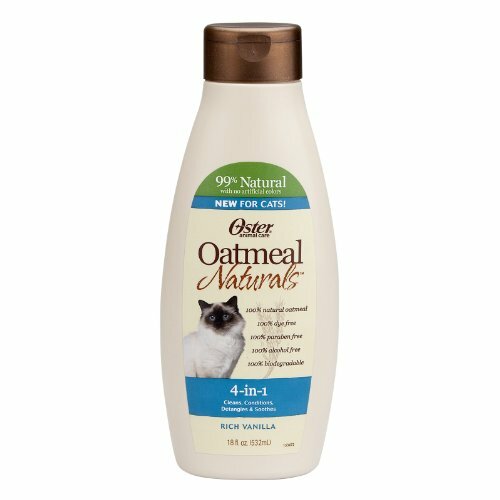 Not to be outdone by Earthbound’s 2-in-1 Conditioning Cat Shampoo, Oster produced this four-in-one formula. What does a four-in-one cat shampoo entail? We weren’t too sure ourselves until we read the bottle and tested it out. Oster Oatmeal Naturals 4-in-1 cleans fur, conditions it, soothes irritated skin, and detangles tangled hair, which you’ll appreciate if you’re lucky enough to own a particularly furry, cuddly cat. To further its appeal, this formula boasts a recipe that is 99% natural and is entirely devoid of alcohol, parabens, and dyes. This means that it will not cause your cat distress should it make contact with their eyes during bath time. As its name suggests, Oster Oatmeal Natural 4-in-1 uses oatmeal as a primary ingredient, relying on it to absorb unpleasant odors so the formula’s rich vanilla fragrance can take their place. Many who have purchased Oster Oatmeal Naturals 4-in-1 have complained about having to use a significant amount of the product to create an effective lather, so you may find yourself blowing through this shampoo faster than you have with alternative formulas you have tried. It should also be noted that some frustrated Oster customers have reported their online purchases arriving in damaged packaging, with some leaking or bursting during shipping. Cat shampoos are nowhere near as popular as dog shampoos, so finding one you can trust can be a bit of a challenge. That being said, our readers can purchase any of the six formulas examined in this article and be sure that they are getting a high-quality offering. While we can’t describe one of these as the absolute best cat shampoo on the market, we often find ourselves recommending Vetoquinol Aloe & Oatmeal Shampoo over all others as it offers arguably the best combination of price and performance. By remedying dry skin, this formula minimizes itching and shedding, while its mild fragrance reduces the risk of your cat’s sense of smell being thrown off after bath time. For those who don’t mind spending a little bit extra, we generally suggest Dechra Miconahex + Triz Pet Shampoo. As well as combatting dry skin and other common issues, Dechra Miconahex + Triz Pet Shampoo can be used to effectively treat fungal infections, which gives it a significant advantage over other formulas examined in this article. Furthermore, Dechra manufactures its Miconahex + Triz shampoo in the United States, so you won’t have to worry about the oversights and errors which commonly occur when a product is in manufactured in bulk in Asian factories.